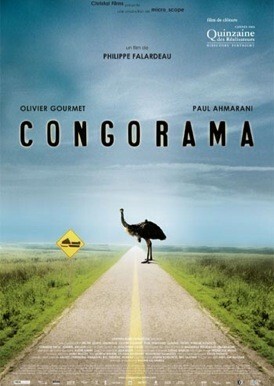 Michel, son of a paralysed writer, husband to a Congolese refugee and father of a future tennis champion, is an erratic Belgian inventor whose boss does not understand him. At the age of 41, he discovers he is adopted and was born secretly in a barn… in Quebec. And that’s just the start of the story. Louis Legros, a gifted Quebec gemmologist, is eagerly awaited in Antwerp where he is to give a conference. But when the Minister of Energy summons him to ask for his help, Louis cancels his trip and returns to the village of his childhood, retracing the footsteps of his father who disappeared two years earlier. He is looking for the blueprint of a revolutionary electric car designed by his father and coveted by the government. Sainte-Cécile is an uninspiring village, the sort you drive through without a glance. In the summer of the year 2000, Michel and Louis meet there by accident, like two missiles with converging trajectories. The collision will change their lives, those of their families and the whole future of the car industry.